This is a very small form of the species that grows about 1 inch tall. Very slow growing. 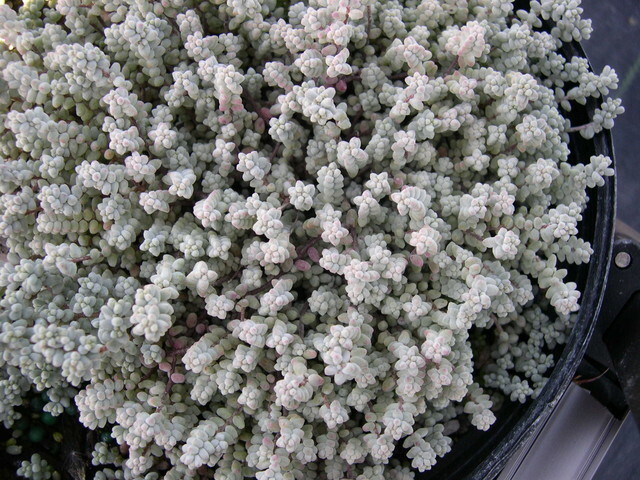 Leaves are powdery white with a touch of pink in summer and are hard when squeezed between the fingers. China-white flowers. It is a native of North Africa and needs excellent drainage. Evergreen.